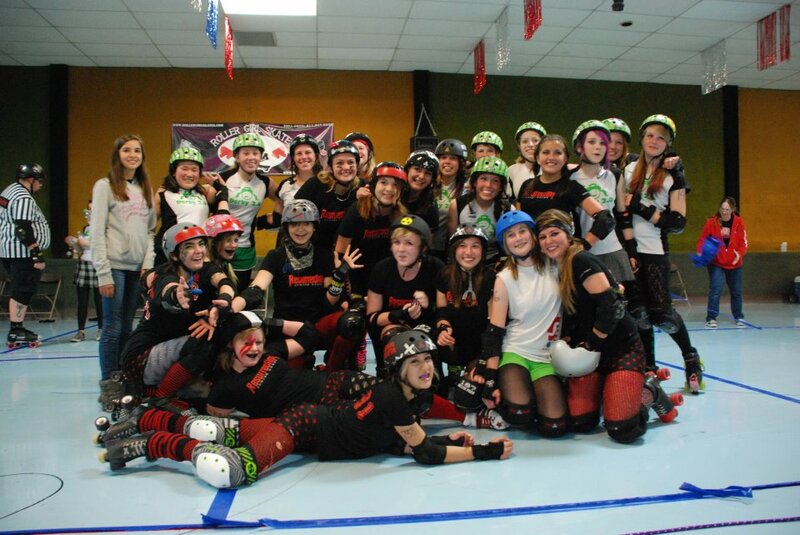 Derby 2.0, SVRG’s junior derby league, is for girls aged 7-17, and is divided into two teams. The MicroChicks (skaters aged 7-10) learn the basics of derby without hitting; blocking is strictly positional. The Web Bruisers (ages 11-17) engage in full-contact play once the coaches feel they’re ready. Skaters 18 and older can try out for the adult league. Derby 2.0 coach Unleasha Moore was the first skater to graduate from junior derby to roster for the KillaBytes and is happy to be mentoring her former teammates in her new role. Derby 2.0 has grown since the first practice in June of 2010, to a full roster of 30 skaters. Many of the original girls are still skating with the league and hope to follow in Unleasha’s tracks. If you’re interested in being a part of the present and future of derby, send us an email at juniorderby@svrollergirls.com.